Your hair is falling out? Wrong washing, incorrect maintenance, wrong shampoos, or long time dying & perm (beware of chemicals hurt the scalp) would make the hair from growing into early involution. It also causes the scalp aging for 10 years with an unusually large amount of hair losing problems. 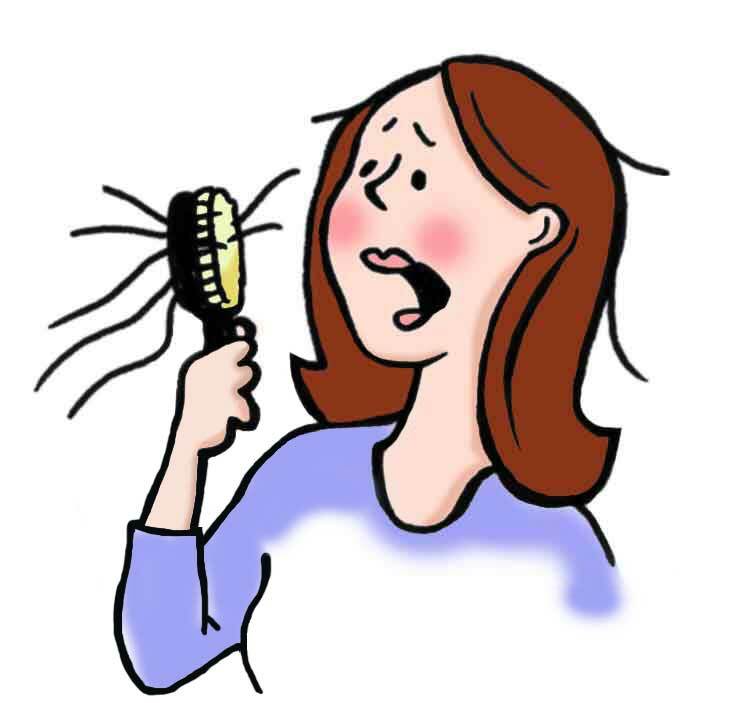 To avoid hair loss, quickly get rid of these 10 bad habits! Some people use to subconsciously touch hair and scalp. Human hands actually fill with oil and bacteria. Frequently touching the hair would stay the dirt on scalp, cause hair follicles clogging with oil. Although combing can promote blood circulation, too many times would cause pulling force and damage the hair. Some pure botanical shampoo has not much bubble. Do not think that no bubble means no clean. It is recommended to take the right amount of shampoo on palm and gently rub on hair later. In five minutes, rinse with water would have fewer burdens on the scalp. In order to thoroughly wash the hair, some people think hot water cleans best and most comfortable. But too hot water would be too stimulated to sensitive scalp. The best wash is warm water. Cold water can also be used in summer to protect the hair and scalp. After a busy day, the hair is oil and itchy. Many women choose to shampoo hair with loquat or fingernails. At first they feel less itchy and much clean. But too much pulling would cause hair falling, the scalp discomfort, and swelling. It is recommended to gently massage. Men’s scalp is tent to be oily, women’s are normal to dry. It’s very important to carefully choose a good shampoo. Misuse of oily scalp with moisturizing shampoo, or dry scalp to use deep cleansing one, the Stratum corneum would loss the balance, and the hair falling out. After washing, the hair and scalp are just washed away a layer of grease. Many people prefer to towel dry, but the hair is easily fragile now. Rubbing hard with a towel would only make the hair withered and even ripped off with branches. It is better to use high absorbent towel. Gently press, and then dry with a hair dryer. Hair dryer to blow hot air could evaporate the water, the scalp and hair can keep dry. But long-term using of close-up hair dryer makes hair becomes rough, bifurcating, and the scalp would be too stimulated. The best distance is 20 to 30 centimeters from the scalp, and dries between the scalp and hair first. For convenience many people would dye and perm at the same time. It would cause considerable burden to scalp. If you had just perm hair, wait for 1 to 2 weeks to dye hair. Do the conditioning treatment before the hair perm, to avoid too much burden to damage hair. If the sensitive skin contacts with inferior hair dyes, beware of the scalp produces contact dermatitis, redness, and itching. The more seriousness will be the scalp rash. You need to inform the hair stylist your hair condition. If your hair is very sensitive, listen to the dermatologist first before deciding whether to dye. Pressure, staying up late and eating spicy food would harm the skin and scalp. It’s better to adjust the schedule to identify the sources of stress; light eating during the weekdays can often keep the scalp healthy, relaxed, and it raises a beautiful hair. Very few dry shampoo would help hair falling out, instead it causes more hair falling. You must choose the dry shampoo without powder and can nurture hair and scalp in the same time.